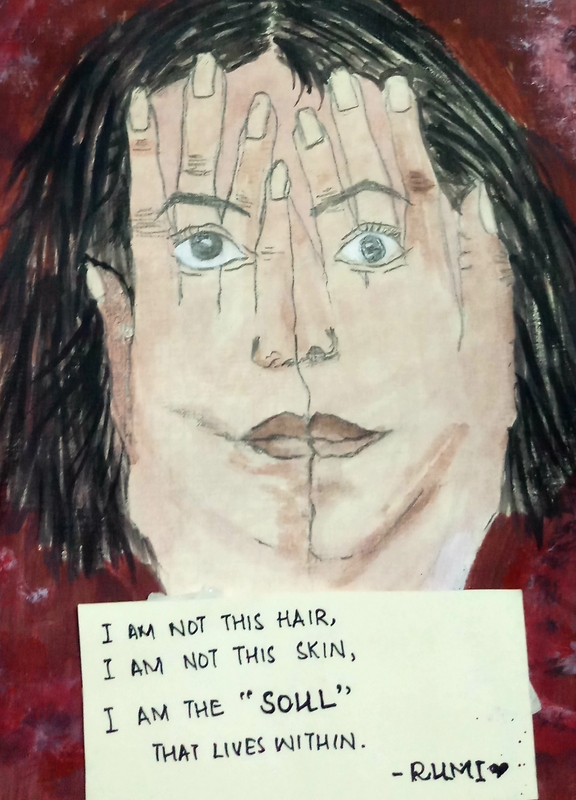 Recently, there was a little campaign designed to send letters to acid-attack survivors. The letters could be hand-written, emails or even visual illustrations. I preferred making abstracts neutrally adjusted with contrasting colours and hues. I know that the illustrations could have been more prominent, more distinct and directed towards the cause but I kept them sublime. The core reason behind it was that I never wanted to make the abstracts disturbing for the viewers as well as those in trauma. I am the soul; that lies within.